Blue waves, blue tears, blue sky. The blue of your eyes and your shirt and your jeans. Blue means blue means blue. I think this 'BLUE' collage works on two levels. 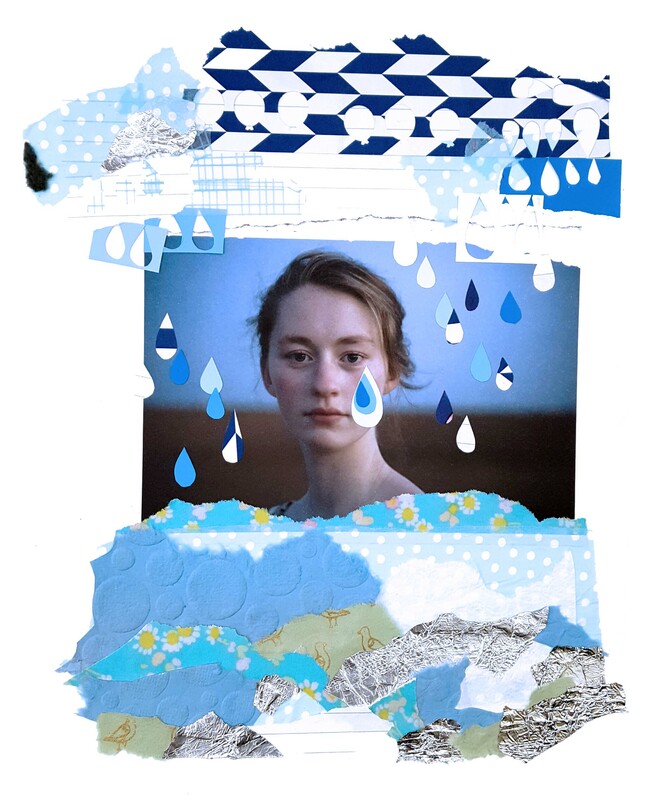 There are the varying tones of blue and also the rain (or tear) drops that indicate sadness or being 'blue'. I enjoyed the contrast between the clean scissor cuts of the raindrops/teardrops versus the ripped layers of what could be the sea or at least, a sea of tears. The remnants of my cut-outs had such an interesting texture I couldn't bring myself to discard them, so they crept into the mix too. The great thing about collage is that every tiny piece or remnant becomes a jewel to be saved and reworked somewhere else, so nothing is wasted. That makes me super-happy. Check out The Collage Club for more information and to join in.